Sanctuaries and shelters while extremely valuable and sorely needed are a temporary band aid for the tragic ways humans can treat other animals. At a time when we need answers more than ever, humane education is a far reaching, powerful solution. The underlying attitude that allows animal neglect, animal cruelty, apathy and ignorance is the root cause of animal suffering. Humane education is the only tool that combats this by fostering empathy and understanding of other animals. A free of charge, series of humane education presentations that foster compassion for all species is now available. All Programs-Aligned to State Sunshine Standards. The following presentations are presented by HERO Founder, Susan Hargreaves, they can be customized to any group’s age, interest or need. Positive character traits are encouraged in line with the current character education emphasis in schools. Contact SusanH@AnimalHeroKids.org or 561-236-8843, to sponsor humane education programs, please, go to the Contact Us page. You Can Be an Animal Hero! This is an interactive program where Rocky Raccoon, Horace B Horse and Kitty T Cat help demonstrate how children can be heroes to animals. 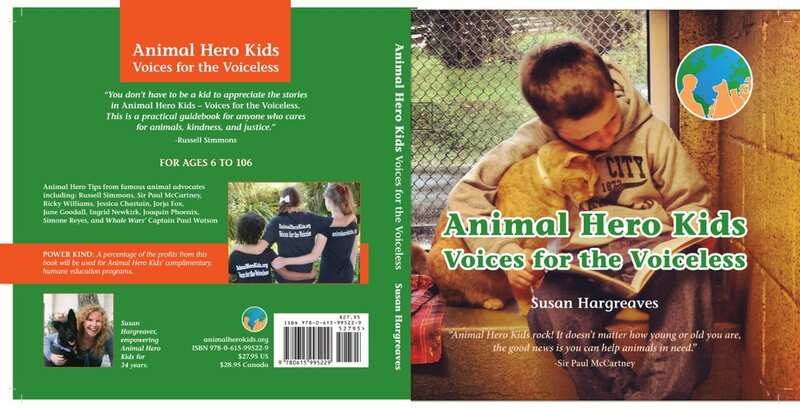 Children who have rescued animals are highlighted as well as other animals who have been heroes for humans. The Animal Hero Pledge card is distributed and serves as a follow up tool. This presentation begins with heartwarming stories about animals who have been rescued. How individuals can help prevent the problems that necessitated the animals’ rescue is highlighted. Incredible stories of animals helping humans and humans helping animals are told in this visually charged presentation. The link between animal abuse and human abuse is explored when appropriate. “…your presentation touched the hearts of our residents. Your sensitivity to our population, your choice of words/phrasings brings people into the subject and make it very real for them. This program demonstrates how to live in harmony with our wild neighbors. Amazing facts and adaptations about diverse native wildlife There has never been a time that Florida’s wildlife have been more challenged to survive than right now. What are the dangers? What can we do to help? Find out in this lively, interactive presentation. Younger groups are treated to a fun, guessing game using realistic animal props which reinforces the information learned. This presentation utilizes realistic animal props to tell stories about animals in distress and how they were helped by children. True case histories that demonstrate the issues challenging non human animals today are incorporated. Each program is accompanied by follow up materials. The importance of recycling is brought home with the Recycle! presentation. 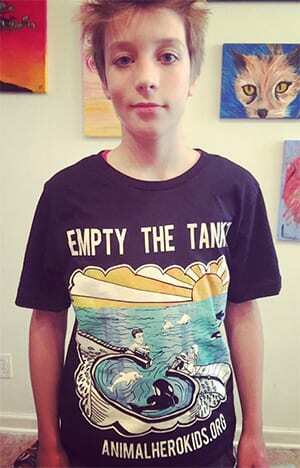 Items that were found in a beached whales’ stomach are disseminated. The challenges facing marine mammals are discussed as well as what individuals can do to make a difference. This presentation for middle schools, high schools and colleges, highlights the current reality for a wide range of species of animals, locally and globally. On average, one thousand people a day move to Florida. The impact an individual’s actions can have on other animals and the planet is discussed. “Susan Hargreaves, has been presenting in my classes for the past 7 years, she has always delivered a captivating, interesting and much needed message to the students. I learn something new every time. A presentation that outlines the impact our food choices have on the environment, other animals and our health. Family science classes have found this presentation useful; each program provides scrumptious vegan fare and follow up materials. A fun quiz concludes this presentation. Here is a program that is great for school career days. Jobs that help animals are outlined; the training and rewards are discussed. Individuals that are currently working in the field may attend the presentation. A Day in the Life of A Jungle Family and Free in the Sea, delight younger children with the hand made costumes, native habitat backdrop and their immediate story line. To book any of the above programs, please, contact Susan Hargreaves at SusanH@AnimalHeroKids.org or 561-236-8843.